Meet Kristi — It's All Happening! My M.O. is to keep you calm, laughing, and comfortable throughout the planning process. I'll be one step ahead of you at all times, helping you navigate how many tables you need, what time to cut the cake and where to put your crazy uncle. 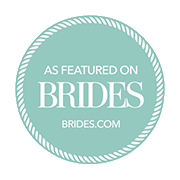 Together we'll produce the most fun, authentic and true-to-you celebration ever. We'll be BFF if you love a good dive bar and 90's music. You're equals in your relationship, have a fur child or two, and believe that quality always beats quantity. You're not afraid of getting weird on the dance floor or breaking tradition. You know the type of wedding you want to plan but trust me to do what I do best and help you make it happen. I grew up in Florida, where I once had a tan and thought winter only lasted a month. 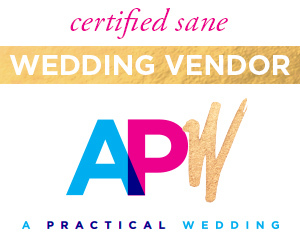 I moved to Chicago to pursue a graduate degree in Social Work and quickly realized that event planning and marketing were my true calling (don't worry, my therapy skills are invaluable during wedding planning and come free of charge). I live in East Lakeview with my husband, David, and our labradoodle, Paddington. I can't wait to get to know you and start planning your celebration!